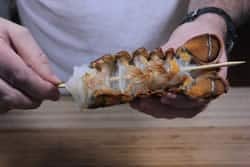 For a while now, I have been experimenting with smoked lobster tails and I am very happy to report that smoking lobster tails takes them to an entire new level of amazing and I say that as a guy who is very picky about his lobster. 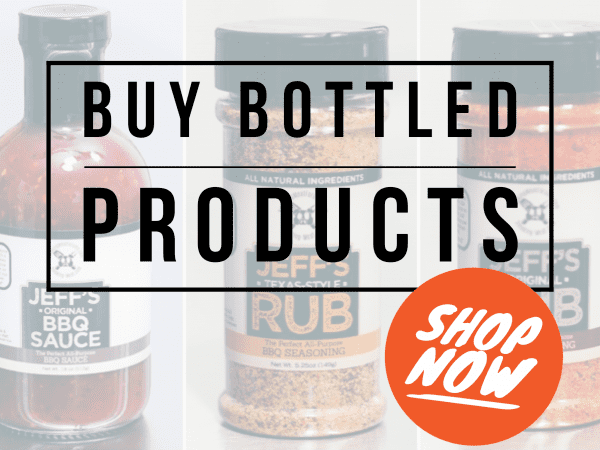 Not only a great way to make any special occasion a little better, these also make for an extra special Christmas meal especially when it's a small intimate group of friends and/or family. You can pick these up at reasonable prices if you look around and even the frozen ones are not a bad option if you thaw them out slowly in the fridge. Those of you who are able to get fresh ones should consider yourselves very fortunate. 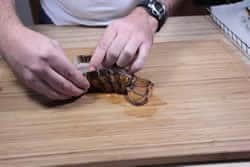 Smoked lobster tails might be one of the easiest things you'll ever do in your smoker and perhaps the most tasty! 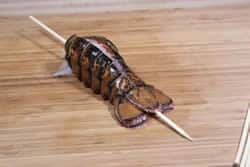 Here in Oklahoma, it's not quite as easy to get fresh lobsters without paying exorbitant “jacked up” prices and I usually opt for the smaller tails that are frozen. I have discovered that if I thaw them slowly in the fridge and don't overcook them, they are extremely good. 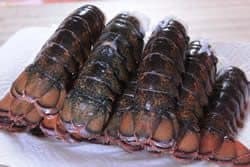 I have eaten lobster at some very fine restaurants over the years and I can tell you that none of them hold a candle to the smoked lobster tails that I prepare in my smoker using the method I am about to show you. 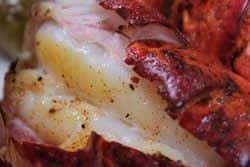 As usual, my rub and sauce recipes are a must have and the rub goes with these smoked lobster tails perfectly. 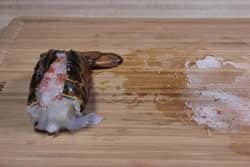 About 30 minutes into the cooking process, I recommend putting about a tablespoon of my butter mixture onto the lobster tail meat via a slit in the shell. Once you mix up the butter mixture, it will need to sit on the counter for 30 minutes or so and get thick before using it. For this reason, I usually make the butter mixture before I prepare the lobsters. Melt butter in microwave then add lemon juice, rub and, if desired, the optional habanero powder. Mix together well and leave sitting to thicken. 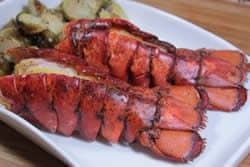 My original rub and the butter with the lemon juice compliments really well without masking the natural goodness of the lobster even without the spiciness of the habanero powder. 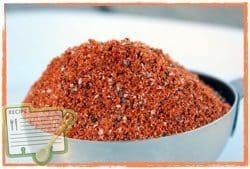 Ground habanero powder can be found in specialty spice shops and online at amazon.com. In the absence of habanero you can also use cayenne to taste to add a little zip to the butter mixture. I use 1/4 tsp of ground habanero for my family but I recommend you begin with a very small pinch. Taste it then continue adding slightly more until you find the sweet spot for you and your family's taste buds. Note: You are looking for a subtle heat that doesn't hit you in the mouth but simply lingers in your throat after you have eaten. 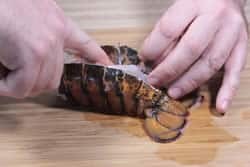 If the lobster tails are frozen, allow them to thaw slowly in the fridge for about 24 hours prior to cooking them. If they still need a little thawing, you can place them in a colander and run cold water over them for a few minutes. 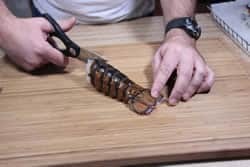 To get the lobster tails ready for smoking you will want to cut a slit in the top of the tail from the front end to where the fin begins. Use a pair of kitchen shears to cut through the segments of the tail. Use your hands to carefully pull the shell apart so you can get to the meat. This must be done with care so as to not break the shell any more than you have to. 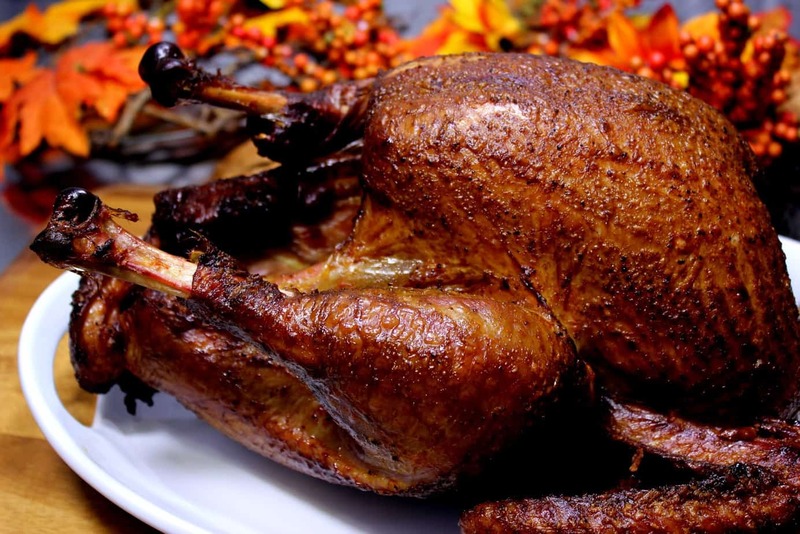 If you do break the shell, make sure to rescue any small pieces that get down into the meat. Run your fingers between the meat and the shell so as to separate it partially. Leave it attached in the back toward the fin. Rinse the meat off under cold water to make sure there is no bits of shell. Lobster tails, like shrimp, have a tendency to curl up when they are cooked. 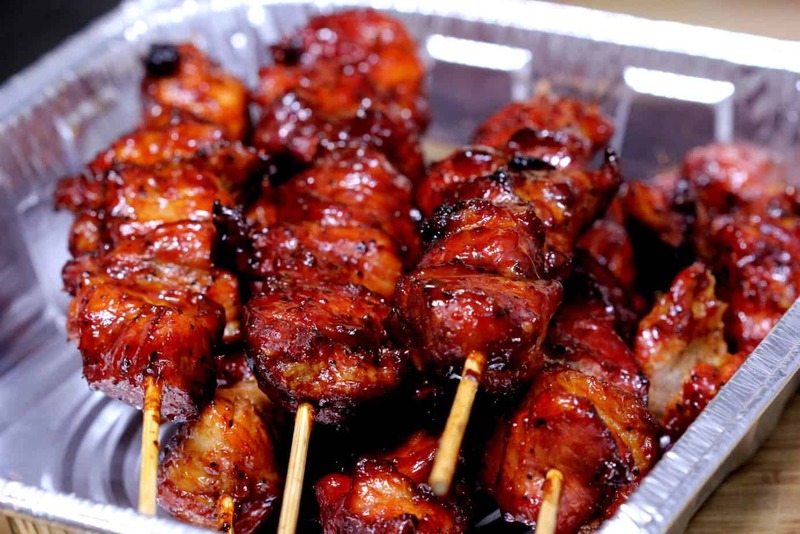 To prevent this you can place a skewer through the meat as shown. Push the sharp point of the skewer through the center of the meat in the front of the tail and let it exit just below the fin in the rear of the tail. 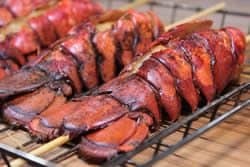 I have no doubt that these smoked lobster tails will come out equally well in almost any smoker as long as you are able to maintain the proper temperature and don't overcook them. 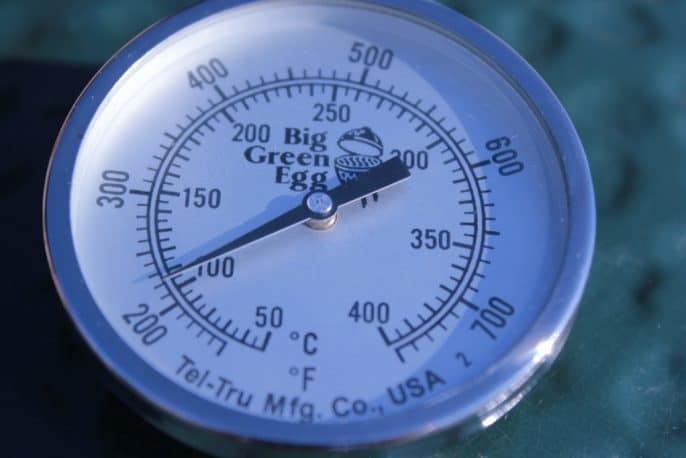 Set up whatever smoker you have for cooking at about 225°F. Use apple wood or a similar fruit wood for best results. Once your smoker is holding steady at 225°F, the lobster tails are ready to go in the smoker. 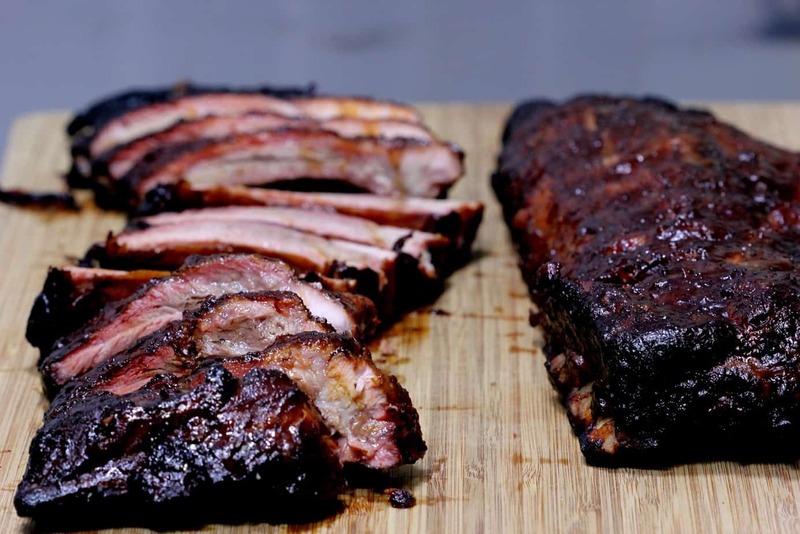 As you all probably know, I love to use Bradley racks to carry the food to and from the smokers, not just the Bradley smoker. They make it super easy to transport food to and from the kitchen with very little fuss. 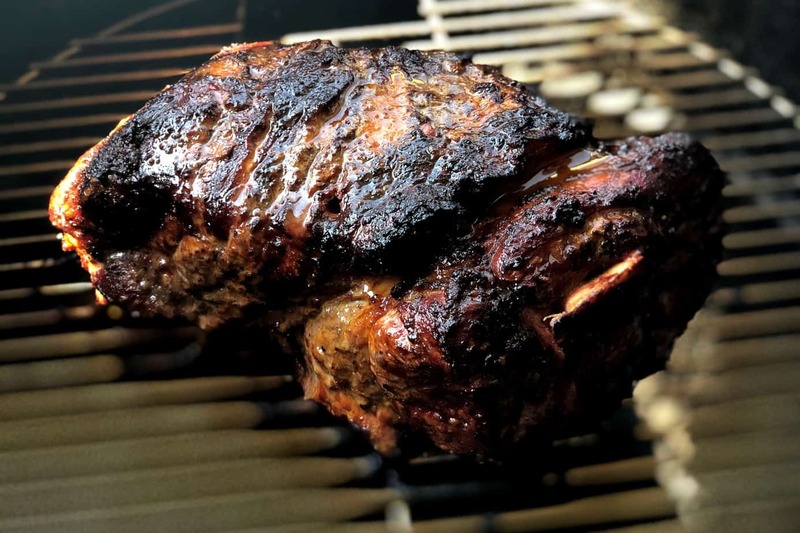 Weber grill pans or even just a plain ol' cooling rack will work perfectly fine as well. 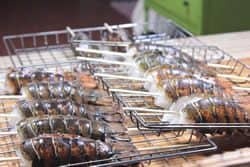 You can also just place the skewered lobster tails right on the grate of your smoker, slit side up if you do not have the Bradley racks available. 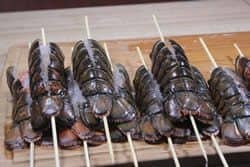 The lobster tails that I had were about 5 oz each and took around 45 minutes to reach a temperature of 135-140°F. 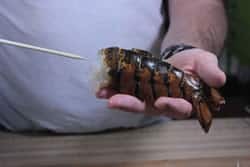 I recommend the smaller tails for tenderness and flavor but if you choose to smoke lobster tails that are larger, it will obviously take a little longer. 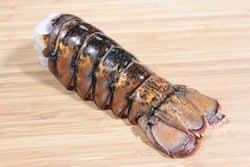 About 25-30 minutes after you place the lobster tails in the smoker, spread the shell apart a little and put a dollop (about a tablespoon) of the butter mixture onto the meat in the lobster tail. 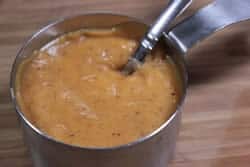 Since it was made early and allowed to thicken some, it does not run off so quickly and more of the spices stay with the meat. 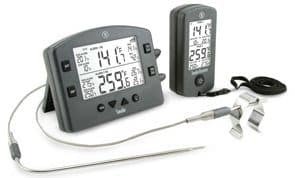 Just monitor the temperature of the meat with your “Smoke” by Thermoworks or a Thermapen and when it reaches 135-140°F, the smoked lobster tails are done and should be removed from the smoker right away. I served the lobster with roasted brussel sprouts tossed in olive oil, kosher salt and fresh ground black pepper. 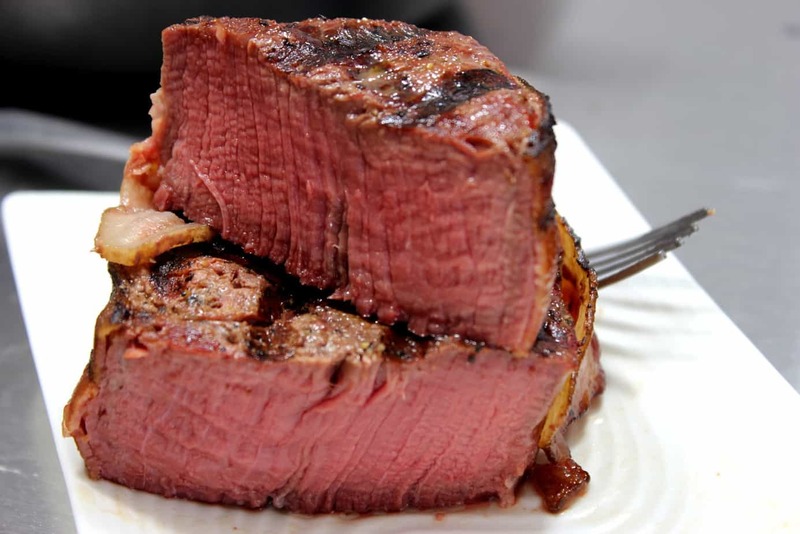 Look at that juicy, tender meat! Definitely using this on the 14th. I’m gonna smoke hanger steaks though. Figure they’ll be done pretty quick and they’re oh so tender. 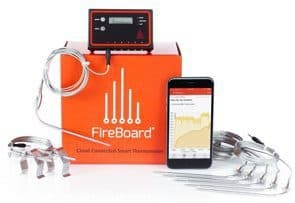 how do you use the live lobster? I am assuming these are already cooked before doing these steps?? No. 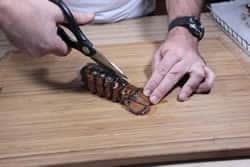 Use fresh, uncooked lobster tails. 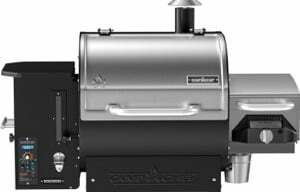 The smoker should be running at about 225 and cooks the meat while it smokes. 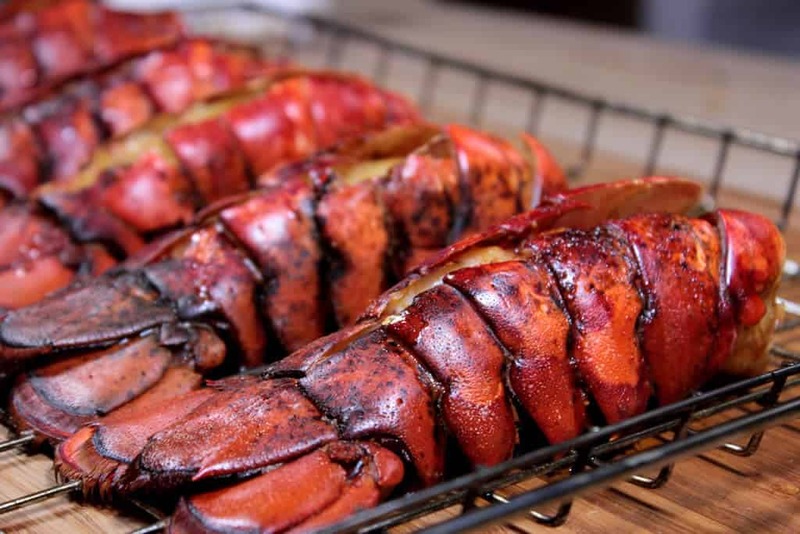 Do you cook your lobster tail on direct or indirect heat on the smoker? I always cook these low with indirect heat. 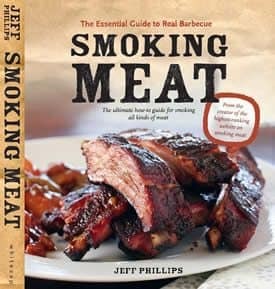 Wonder how this would turn out using a water smoker? 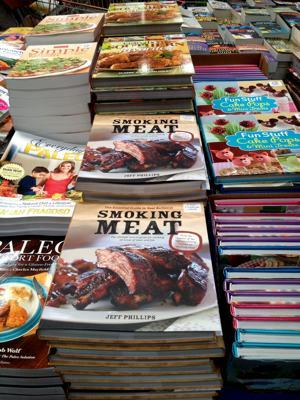 I love to enhance the flavor of meats by smoking…but why would anyone want to mask the natural flavor of lobster? 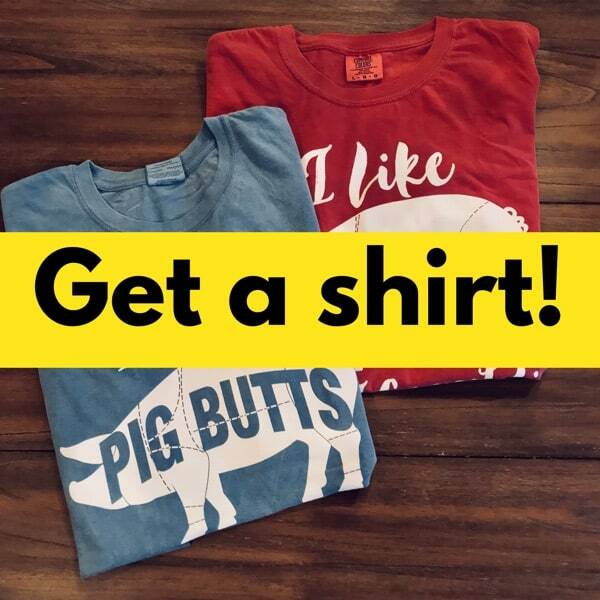 To each their own I guess…. makes me wonder as to what happens to the rest of the bug? I will try anything…even smoked bugs…it’s not the cost because I dive for them ($40/year for my permit) and usually get plenty. I’ll give it a whirl on my BGE. Might be better when they have soft shells (to absorb more of the smoked flavor). I will serve the claws & knuckles as appetizers. I will post my Smoked Cod recipe on the blog. I will try anything…even smoked bugs…it’s not the cost because I dive for them ($40/year for my permit) and usually get plenty. I’ll give it a whirl on my BGE. Might be better when they have soft shells (to absorb more of the smoked flavor). I will serve the claws & knuckles as appetizers. I will post my New England Smoked Cod recipe on the blog. I love the idea of house smoked cod. So many of the commercially available ones are “tainted” [literally] with dyes to enhance their attractiveness to consumers, while not offering any of the rich flavours that original techniques can. Traditional preservation methods make for some surprisingly fresh approaches to prepare fish. Smoked fish is one of those things my girlfriend loves. Orcadians [she is from the Orkney Islands] embrace and offer a school of such smoked fish recipes, so I thank you very much, and look forward to your recipe!! Smoked lobster tails were great. Just took a lot longer than the recipe indicated. It was a cold day here so that probably factored. Worth the wait. Cooked in a Lang 36 inch hybrid with maple wood. Fantastic smoked lobster tails, Jeff! 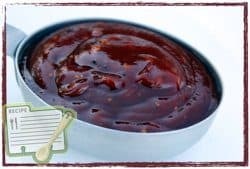 My guests and I were really enjoyed how your rub enhanced and complimented the flavor of the tails, but didn't overpower it! Thanks for doing all the hard work that made me look so goooood!